Fa’afetai Mata’afa for sharing this. I agree with a lot of the points raised, and especially with the reference to the Airline industry. This duopoly of Virgin Samoa and Air NZ is contributing immensely to crippling the tourism sector. Air NZ has the ‘seat only’ option as a budgetary option and so has Virgin Samoa. 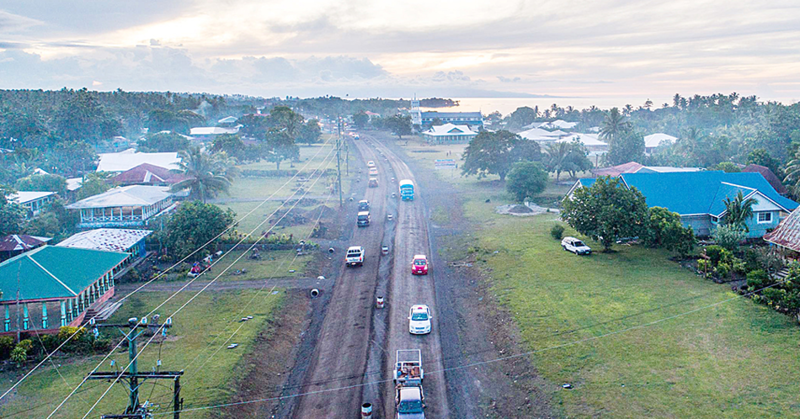 It is ideal for the business traveller (mainly) but how many other passengers come to Samoa with only a carry on luggage? Again, I quote this route from NZ-Samoa as the most expensive per kilometer. Why when it is the same distance (almost) to Sydney ex-AKL, where the prices are very affordable, even on a full fare. There’s been talk in this paper of discussions with Emirates and Tahiti Nui airlines but that has been it. Just discussions. * Environmental: we have beautiful scenery and the weather (outside of the rainy season) is generally acceptable, etc. * Socio-economic factors: accessibility, accommodation of which we have plenty of empty rooms, great fishing, ancillary services of which we now have a few options - solar energy despite the many power outages etc., technology despite the pathetic charges to use mobile data, etc. telecommunications, Mobile phone providers, etc. * Historical & cultural factors: Robert Louis Stevenson to name one, the Mau movement HQ, Malae i Tiafau and the many monuments, etc. etc. * Other factors - lava fields in Samalaeulu, the blow holes, the many sceneries captured in the Survivor TV series, etc. So, seeing that we satisfy more than 80% of above, why is that tourism in this wee country performing so terribly? Hotels/motels are still being built around the township, but who are we bringing in to accommodate in these rooms? Surely, the airline industry has a big contribution along with the Cruise Ship vendors. Why not talk to some budget airlines. Jetstar is a name that pops out. Heaps of travellers for starters from the many Samoans and connections in Australia and N.Z. for example. N.Z. has the Prime Minister as the minister of Tourism. It has been for the many years I have lived there. The N.Z. government has obviously got Tourism very high in its agenda. Who has Samoa got for the Minister of Tourism? Please remind me. How do we fix it? May be we need divine intervention once again. Remember, we are “Fa’avae i le Atua” Samoa. Apologies about the pathetic joke.